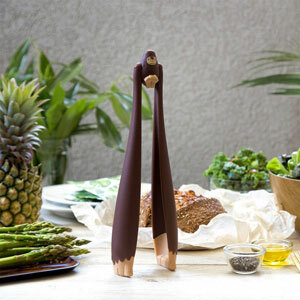 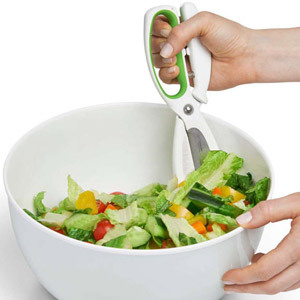 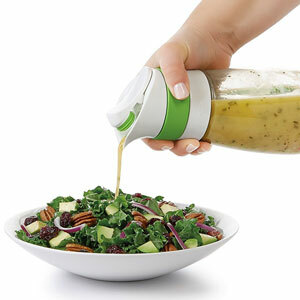 Dry salad greens with a simple press of the soft, non-slip knob. 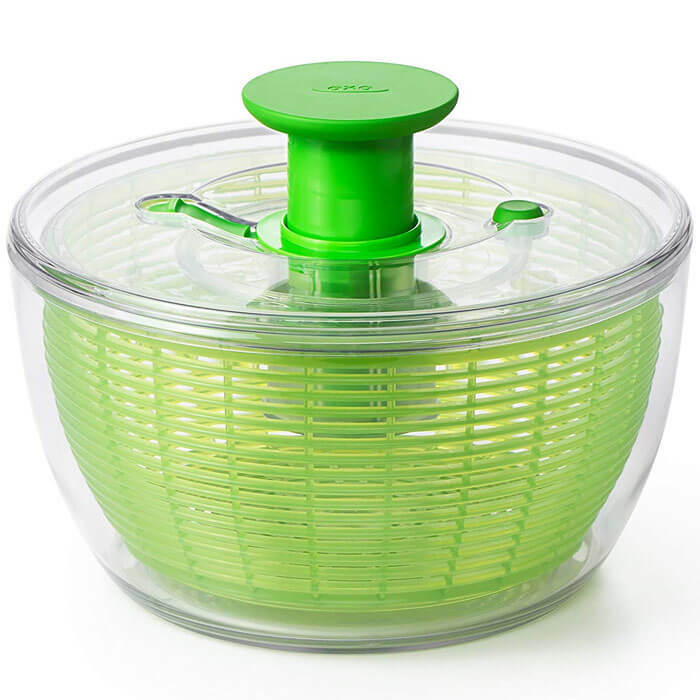 Salad Spinner has a non-slip base that keeps the bowl steady on the countertop and the built-in brake button stops the spinner for unloading. 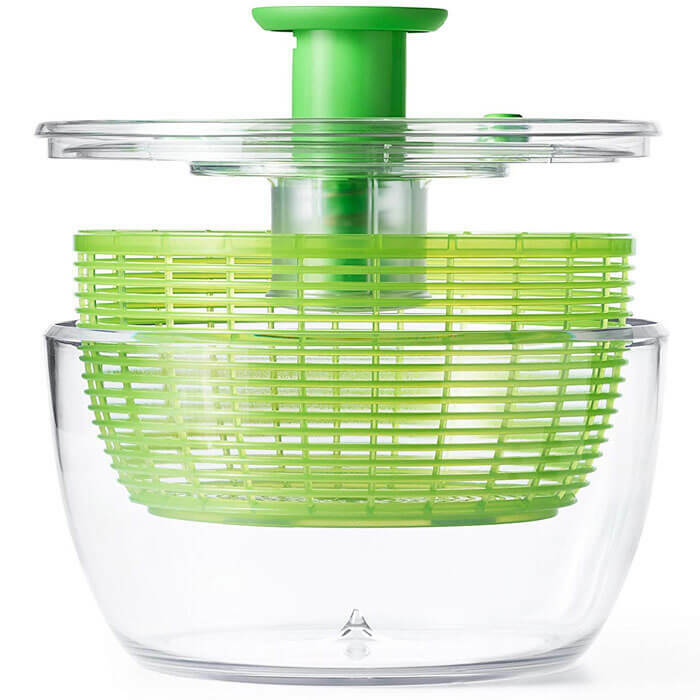 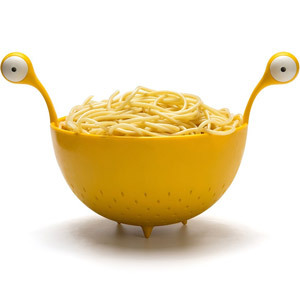 The basket doubles as a colander, and the lid comes apart for easy cleaning. 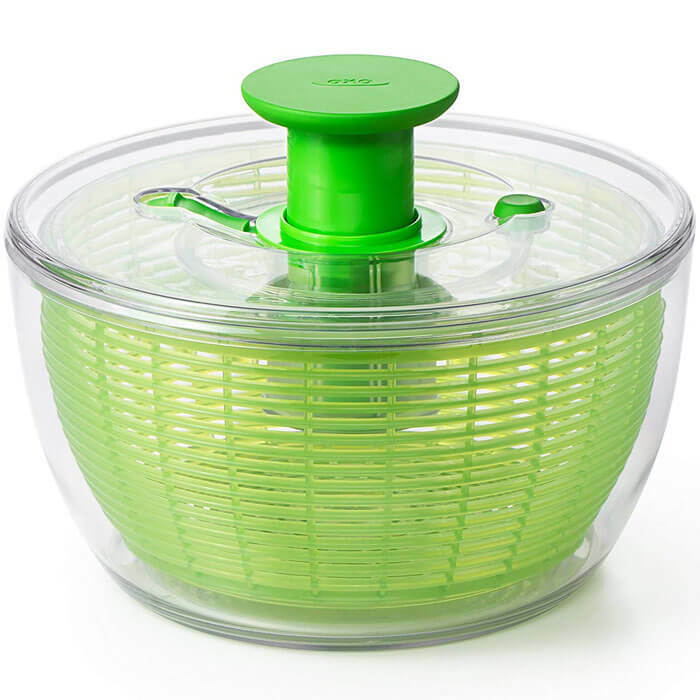 Selected as one of People Magazine’s 2017 50 Food Faves.